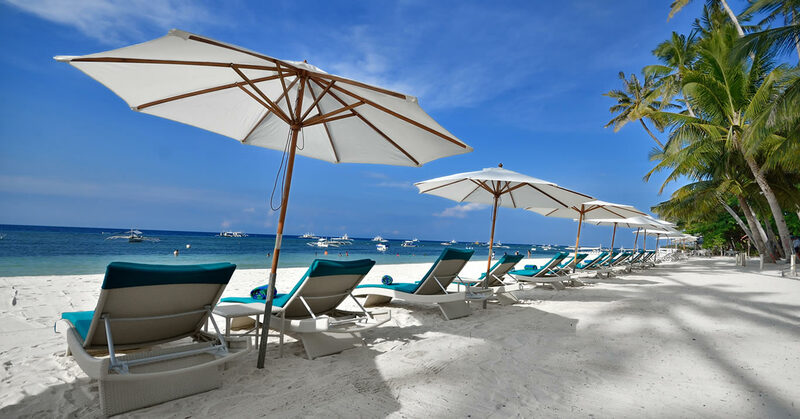 Henann Resort Alona Beach’s location in Panglao Island is surrounded by famous dive sites and thriving marine life. Our luxurious accommodation is fronted by 120 meters of powdery white sand and crystal clear waters, making it easy for adventurers and novice and seasoned divers to see the colorful underwater sights and scenes. To get to the resort from Manila, board a flight bound for Tagbilaran Airport. If from Cebu, just take a 2-hour ferry ride to Tagbilaran Seaport. From these 2 transportation hubs, guests can get a 30- to 40-minute ride to Henann Beach Resort in Bohol. Truly, Henann Resort Alona Beach’s location is very convenient and expedient so there’s no reason not to make the most of your stay.